Profits Unlimited is a automated binary trading software. The creator of the software, “Larry Landers”, claims you can make up to $4,653 per day using the software. 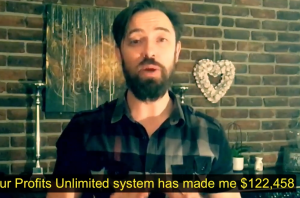 If you are considering getting yourself involved with Unlimited Profits I want you to stop that line of thinking because this program will lead to nothing but failure. If you want to discover the ugly truth behind Unlimited Profits, read on. Sometimes it is difficult to spot a online scam. When it comes to the Profits Unlimited program, that certainly wasn’t the case. 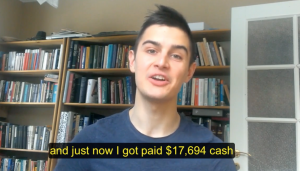 It really has all of the tell-tale signs right in the sales video. 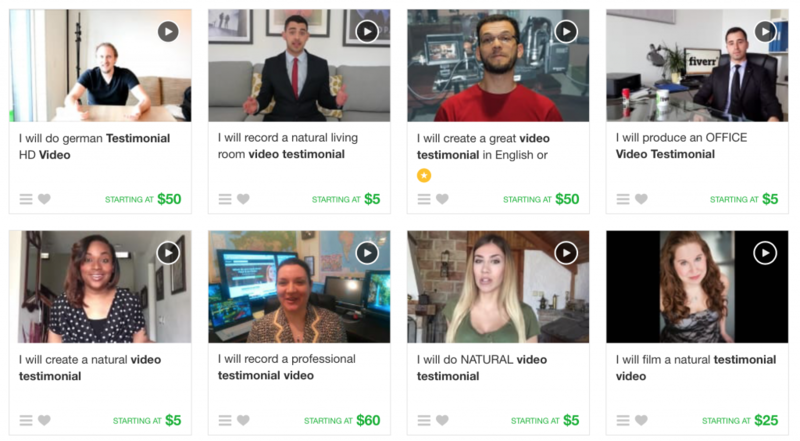 I hate to break it to you, but the video testimonials are nothing more than a bunch of hired actors. ↑This guy had me lol’ing hard. Terrible actor. Actors like these are available for hire on sites like Fiverr for as little as $5. So any scammer who wants to make their program seem legit, can head over to Fiverr and buy a couple testimonials and call it a day. Did you notice this image on the homepage? The average person sees that and thinks the program must be legit if they have been featured with those respected sources. Well they would be wrong, because Unlimited Profits was never featured with these news stations. You are supposed to be able to click on these logos to acquire information on how you are protected. These logos are on the Profits Unlimited website just to trick you. They aren’t clickable. Clearly there is some deception going on here, but will the software work? As you know our good buddy “Larry” claims we can make $4,653 (random number) per day using his Unlimited Profits software. 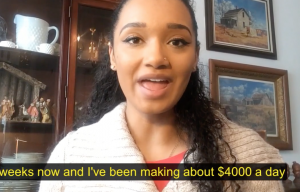 The software is supposedly “free”, but you will soon find out that you need to invest $250 into a broker account in order to place trades with the software. 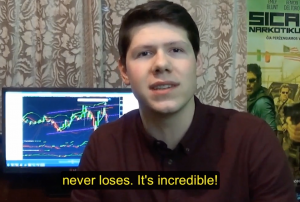 Unfortunately you won’t be making any profits with the software because the creators of Profits Unlimited, make money when you lose. That’s right. They don’t want you to win. The software is set up to give you inferior positions. Every time you add more money to the broker account and lose, profits are shared between the broker and the creators of Profits Unlimited. Unfortunately they profit from your loss. Stay away from Profits Unlimited. In fact be very careful around any binary trading software in general. The FBI is investigating scam binary options programs from all over the world. Scammers steal an estimated $10 BILLION per year with fraudulent binary options programs. Were you interested in Profits Unlimited because you want to make money online? Well if that is the case, I’m sorry the program turned out to be a total scam. Finding a legitimate way of making money online takes time and a little bit of good luck. It can get frustrating trying program after program, and not succeeding. Not to mention costly. I want you to find a program that you feel comfortable with, but since I have you here can I give you my personal recommendation? Try Wealthy Affiliate. Its how I learned to make a full-time income online and its a program that I trust.